If there is one drink I love, it is mojitos! The freshness of the mint, the crispness of the seltzer and it’s not too sweet compared to other cocktails! So as I am vacationing by the beach where it is a balmy 85 degrees I figured mojitos were on the menu. 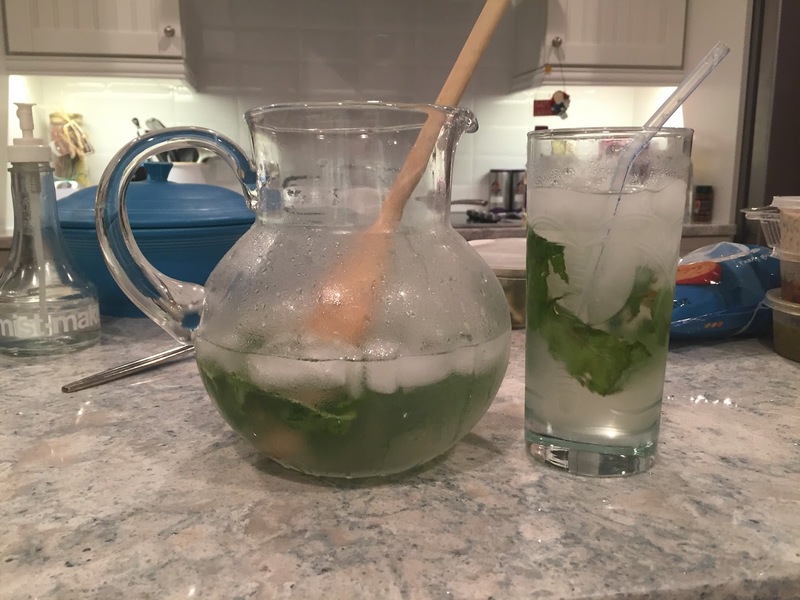 So thanks to a family friend, here is the recipe we used while enjoying mojitos last night! 5. Mix all together into a pitcher with ice. 6. Fill the rest of the pitcher with cold seltzer water. 7. Pour into a tall glass with ice, serve with a straw and pretend you are at the beach!